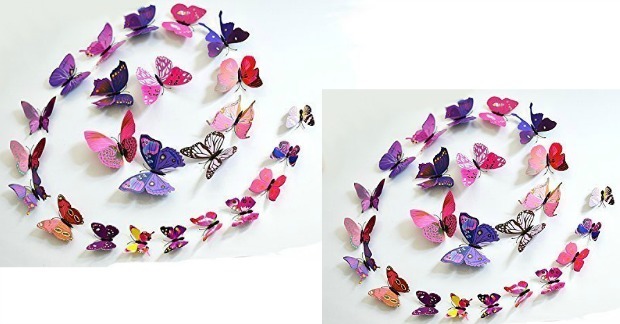 12 Pcs 3D Butterfly Wall Stickers Just $1.32! Ships FREE! You are here: Home / Great Deals / Amazon Deals / 12 Pcs 3D Butterfly Wall Stickers Just $1.32! Ships FREE! Get this beautiful set for the nature lover in your life! Order the 12 Pcs 3D Butterfly Wall Stickers for Just $1.32! Ships FREE!